A sophisticated luxury hotel, Le Meridien offers contemporary accommodation, beautiful bay views and impeccable service. 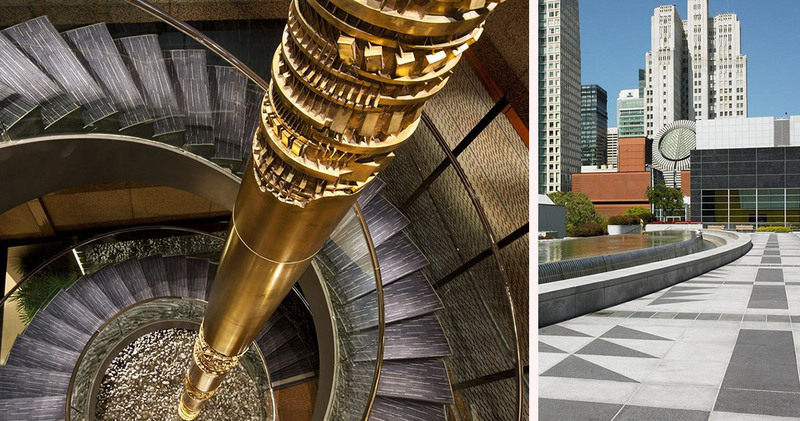 Located in the Financial District, Le Meridien is close to the Embarcadero Center, Ghirardelli Square and Fisherman’s Wharf. 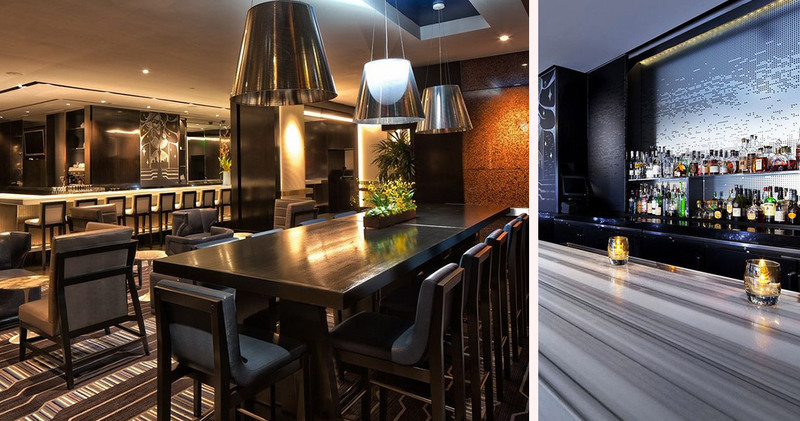 This is a stylish hotel featuring modern decor. 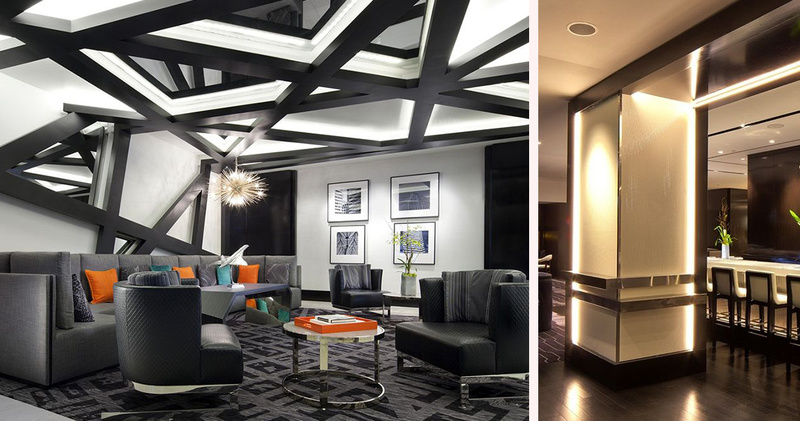 The lobby has a contemporary seating area with a geometric ceiling design, black and white finishes and pops of bright, fun colors. The second-floor foyer also offers ample seating, with plush, oversized chairs and wooden paneling. The service is professional and friendly, and staff are always eager to help. The hotel hosts an aperitif hour each evening with a delicious assortment of effervescent offerings. 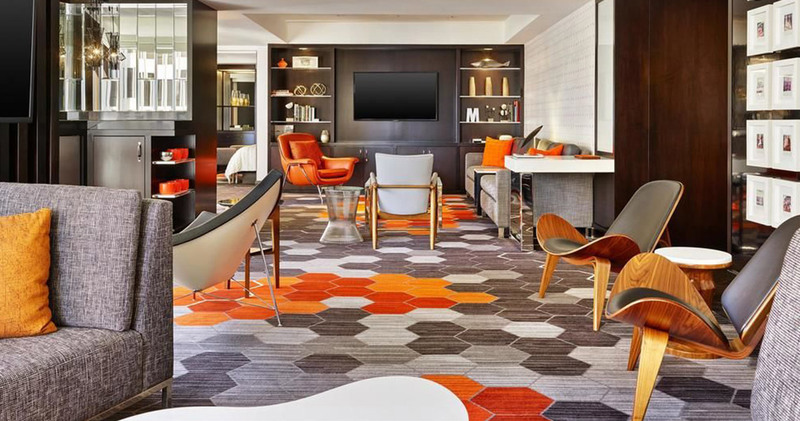 The guestrooms at Le Meridien San Francisco are stylish and elegant. The decor features warm, earthy colors and fun wallpaper, and there are spacious work and seating areas with modern furniture. 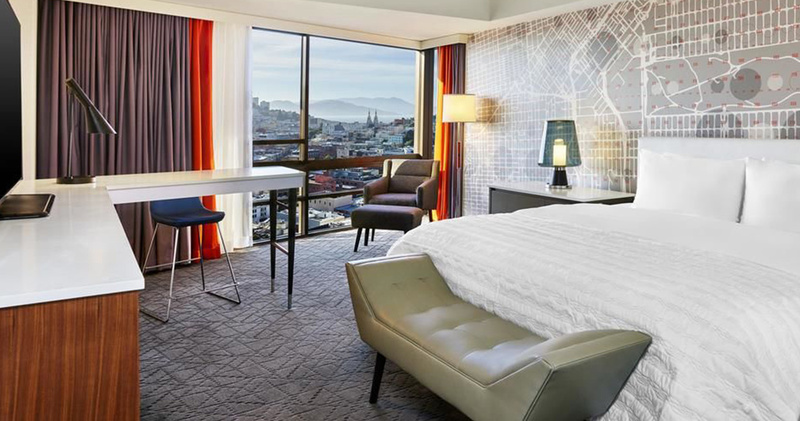 The guestrooms feature large windows that let in a lot of natural light and offer beautiful views of the city and bay. The luxurious beds feature pillow-top mattresses, 300-count Frette sheets, plush pillows and down duvets. Rooms also include a Nakamichi CD and stereo player. 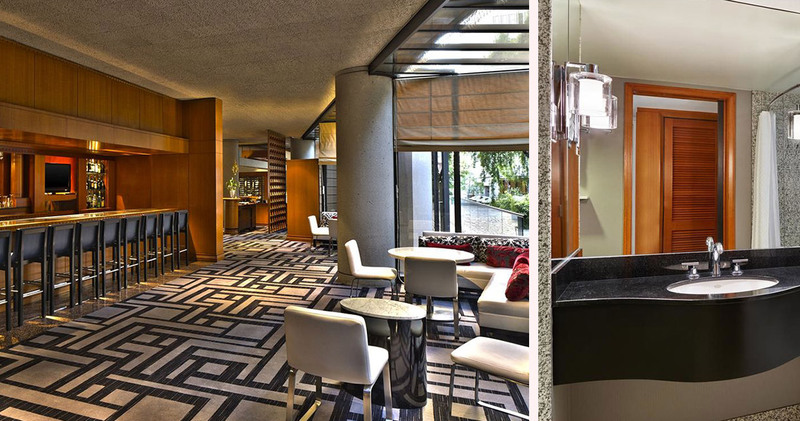 The bathrooms at Le Meridien are spacious and inviting and feature granite tiles, modern lighting and deluxe robes. 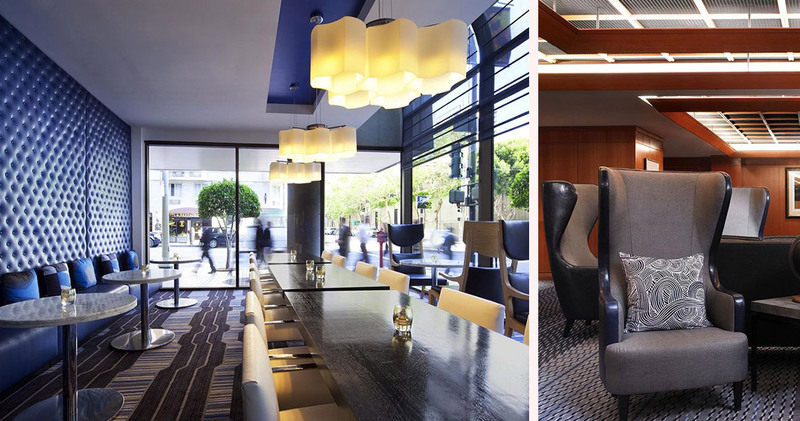 Park Grill restaurant at Le Meridien San Francisco is an elegant restaurant with an inviting atmosphere. 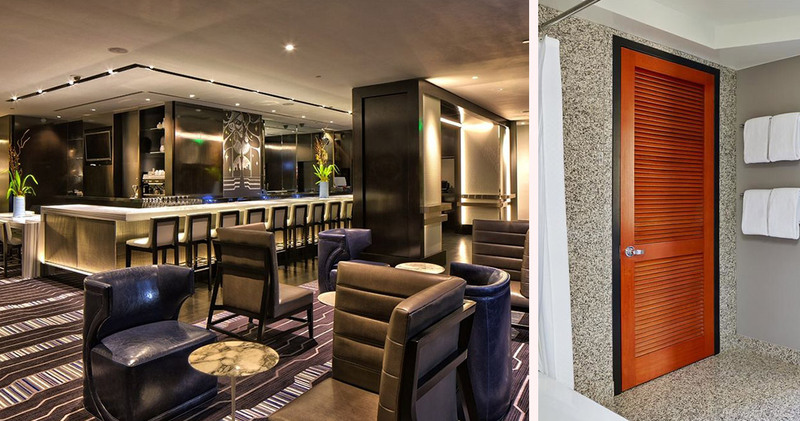 Guests can enjoy market-fresh cuisine while soaking up the beautiful views of the city. 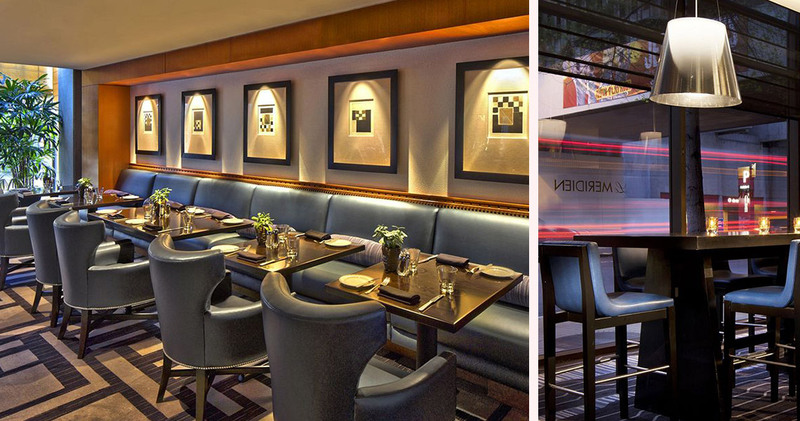 Bar 333 is a sophisticated bar serving contemporary Mediterranean fare. After an evening at the bar, the hotel’s signature Eye Opener breakfast juice offers a refreshing start to the next day.